Here's how you can always parry and deflect attacks with ease in Sekiro: Shadows Die Twice. Parrying is a game of risk and reward in Sekiro, as although it can be incredibly rewarding, it can also put you in a bad position if you time the parry wrong. In this Sekiro parrying guide, we'll be walking you through deflecting and parrying attacks in Shadows Die Twice. How do You Parry in Sekiro? You can parry attack in Sekiro by pressing the left bumper on your controller, at any point in the game. The aim here is to press the bumper at the very last second, right as the attack from your opponent is about to connect with you. Yes, this is definitely a risky strategy. If you fail to pull off the deflect by pressing the button at exactly the right time, the attack from your opponent will connect with Wolf, and you're going to lose a great big chunk of your health, as well as sustaining damage to your stun meter. But, if you can successfully parry/deflect an attack by pressing the bumper at the very last second, you temporarily stagger your opponent. Straight after a successful deflection, immediately press the right bumper for a single attack. This will deal huge amounts of damage to the stun meter of your opponent, which is particularly helpful during boss fights. 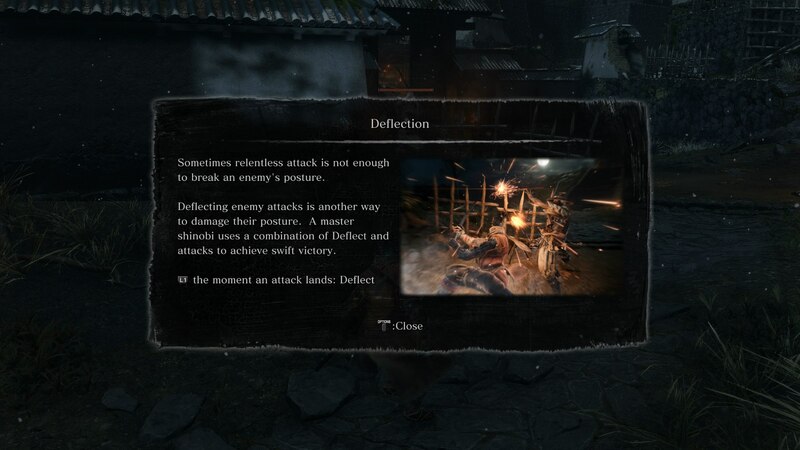 It's really important to remember that any opponent in Sekiro can recover very quickly from being parried. As a general rule, always stick to landing one single attack straight after you've deflected. After this one attack, your opponent can immediately recover their stance, and get back to blocking/deflecting your own attacks. Remember to play conservatively in Sekiro, even when it seems like you're on the front foot. Which Enemies Can be Parried in Sekiro? When it comes to enemies in Sekiro: Shadows Die Twice, not every enemy in the game can be outright parried/deflected. Generally speaking, only enemies that wield swords or spears can be parried. If an enemy is using a club, or their bare hands (looking at you, Chained Ogre) to beat you to death, you can't parry them because there's no bladed weapon to parry. It can be quite tricky to work out which enemies in Sekiro can be parried, but this is a good rule to go by.